Christmas – He Said What?! Walking through the family room the other day, I noticed something red sitting on the end table beside Aaron’s favorite chair. I knew he had left his bowl of Hot Tamales on the table, but there was something else. I stopped to look, and this is what I saw. Aaron had set aside these two Hot Tamales. This is nothing new, so I knew exactly what it meant. It meant that Aaron realized these two Hot Tamales were a different shape and size than his normal Hot Tamales. To Aaron, they don’t fit into the bowl of regular candy. They are not the norm. They must be separated from the usual candy, sitting there until all his candy is finished, and then thrown away. He will not eat them. They are unacceptable to him. Our Christmas holiday is still a warm memory to me. However, not every memory with Aaron is warm and fuzzy. Those unusual Hot Tamales help explain our family dynamic perfectly. Aaron both loves, and somewhat dreads, our Christmas celebration. 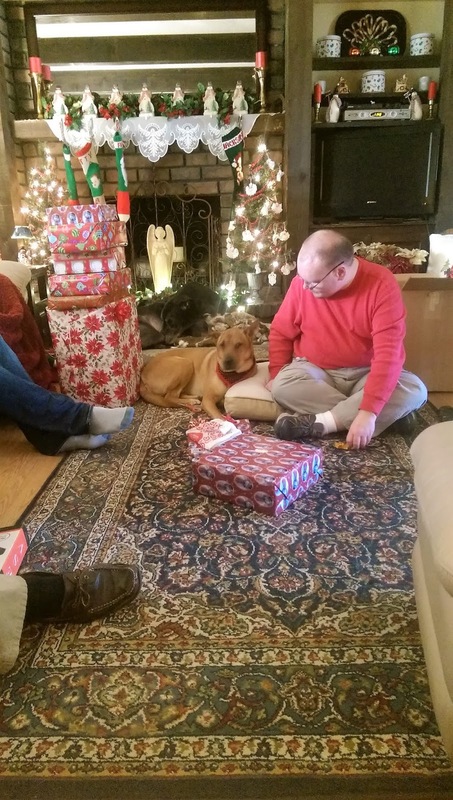 He loves the anticipation of opening his gifts. He looks forward to time off from his day group…time to be at home relaxing and filling his days with whatever he wants. He likes seeing what food I am making, hoping that some of his favorites are in the mix. However, Aaron’s autistic mind is also very aware that his structured schedule is about to change. He knows that he will soon need to share his ordered world with Andrea and Kyle…with their three dogs…and with Andrew. He even must share his bathroom, for crying out loud! In his mind, he is already setting aside some of these daily issues much like he does his unacceptable Hot Tamales. They are not the norm, so they are cast off mentally as being unpleasing…yet in this case, necessary. Aaron in many ways looks forward to our family being together for Christmas, just as he looks forward to eating his candy that is poured into one of his ever-present bowls. But soon comes along those pesky interruptions into his ordered life…interruptions that are very difficult for him to sort and to deal with properly. Christmas Eve is most often the time for what Andrew calls “Aaron’s Annual Christmas Meltdown.” We say this with a smile when Aaron doesn’t hear us, but we also say it with some dread for what might come. Two of our best Christmas traditions occur on Christmas Eve. My favorite is the Christmas Eve service at our church. Each year we ask Aaron to come, and each year he turns down our offer. The large crowds…all the talking with strange people…some of the louder music…and having to sit quietly for such a long time…are all very stressful to Aaron. We understand this, and we don’t push the issue. We know better. But each year I’m sad that our picture in front of one of the beautiful Christmas trees does not include our full family. When we get home from the Christmas Eve service, our other fun Christmas tradition takes place. Christmas Bingo!! Otherwise known as the usual cause for “Aaron’s Annual Christmas Meltdown.” Our Christmas Bingo is fun and loud and unpredictable. Aaron greatly dislikes loud, unpredictable fun…which to him is NOT fun! This is why Aaron shuns parties of any kind. He says that people act weird at parties. Never mind that on any given day one may hear Aaron clapping or saying outlandish things as he watches a show or scratching himself openly in Wal-Mart. Aaron sees his actions as totally fine, but when Gary acts goofy as he announces each Bingo card, Aaron’s frustrations grow and grow. Add to that our laughter and joking, winning or NOT winning each round, prizes that disappoint…well, Aaron’s bowl of normal is quickly being emptied and he is usually simmering as the game progresses. This year, Aaron joined us after we had played a couple rounds. He hovered near the table, observing us and seeming to need time to gather his courage to sit down at the table. Aaron usually targets one of the guys, especially Kyle since he is new to our family and Aaron still isn’t sure it’s OK that he married Andrea. He targets Andrew because Aaron has always been somewhat jealous of his brother. And he targets Gary because Gary is Dad, and Dad is acting way too silly. When Aaron sat down with us to play, we all quietly decided to try to make the game as non-silly as possible. We also decided to be as quiet as possible when announcing that we had a Bingo. However, this plan ultimately made us laugh even more…as quietly as possible but still not quiet enough for Aaron. But something else was also going on with Aaron. Andrea later said it very well. Aaron knew that things were very funny because we were all laughing, but he couldn’t figure out what the funny things were. There were many comical moments, but none made Aaron laugh. He was focused and intense and struggling very hard to keep from being angry. There was nothing worth laughing about in Aaron’s mind. 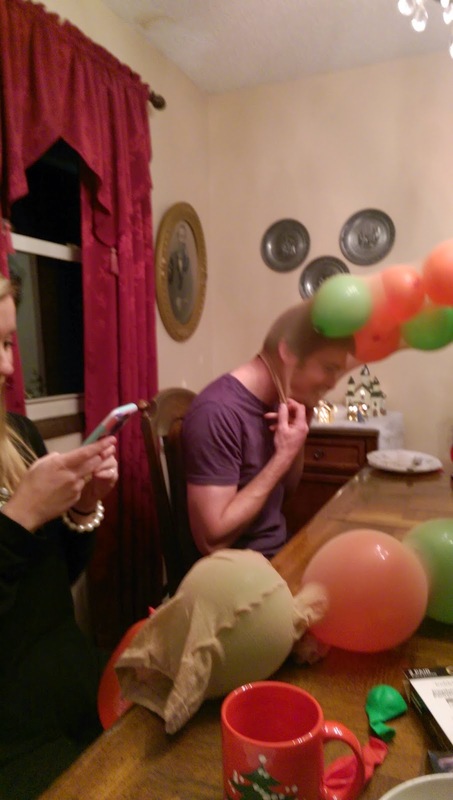 Instead, he was wondering why we were all laughing at the gifts and at each other’s comments, and as we see every year, his tension was mounting and his fun meter was doing way down. My heart went out to him as I just watched him sitting on the opposite end of the table from me. He had just won a prize and was so very seriously opening the little box. He loved getting a Bingo, and I found myself wanting him to win every time. But life isn’t like that, and I knew he needed to once again learn to be a part of our world…loud and puzzling and frustrating and disappointing as it is. He can’t remove the parts of life around him that are not his normal. He must adapt as much as possible, and we must also be allowed to enjoy our family life together with him when we can…when he can. There are small ways that we have learned to let Aaron be…to not ripple the water unnecessarily. Like when he won a bottle of body wash, but it was ladies body wash. With each other, we would have laughed at this…making fun of the girlie name on the bottle and teasing whichever guy had the misfortune of winning it. But not with Aaron. We just kept quiet about it, watching Aaron stash his prize safely on the floor beside him. And later that night, I found the body wash placed in the shower to be used by him the next morning. I never said a word to him about it, and he happily used it…and smelled very nice! We pick our battles with Aaron when we can, happy that he actually made it through this Bingo game without an eruption of anger. His anger later spilled out toward me after I made a random comment about forgetting to put the ham cheese ball out to eat, saying that maybe we should start our game all over. That did NOT make him happy…and neither did my hand motions that he copied angrily. He was so done with that evening! All of us were picked out of his normal bowl, trust me! I was happy that his seizure during the night didn’t ruin his Christmas day. 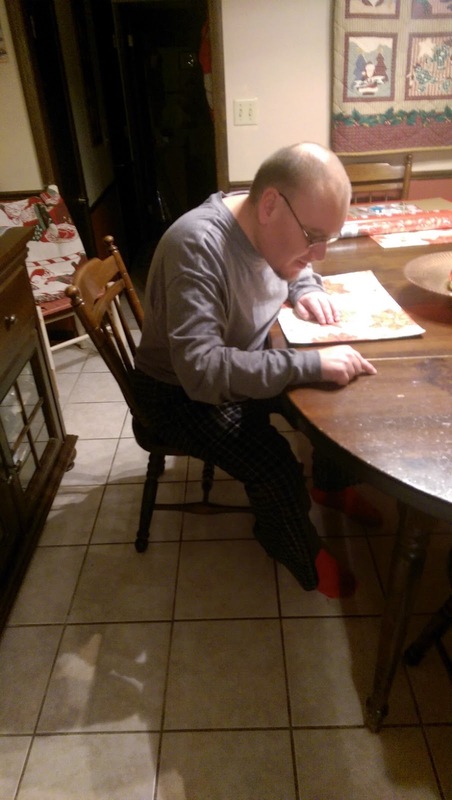 I was happy that he was able to open his presents, though he was heavy-eyed and dreary after the seizure. I was happy that his other seizure later that day was during his nap, and that he didn’t fall down. 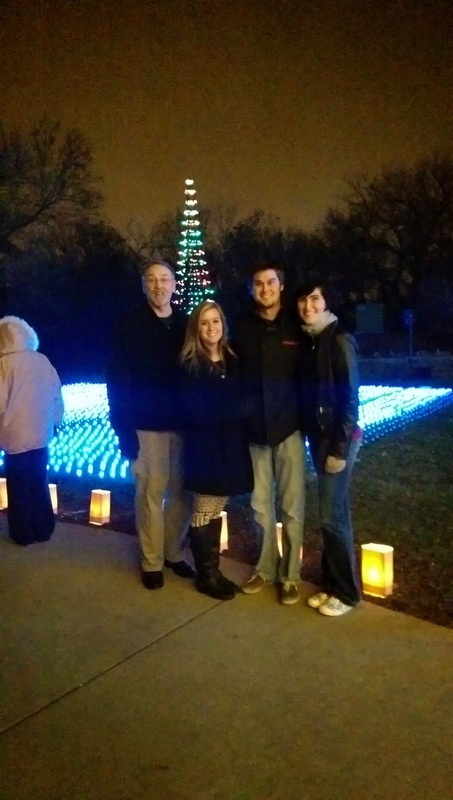 And I was especially very happy that our neighbor came over and took our family picture in front of our tree. For really, our family isn’t complete without Aaron. He may want to kick us at times out of his normal bowl, but then he does turn around and let us back into his life. And we do the same with Aaron, over and over and over again. We welcome…we include…we modify…we adjust…we sigh…we go to bed tired – but we do love our Aaron and will always want him in OUR bowls as much as possible. Early yesterday morning, before the rush of the day started…and despite the fact that Aaron was up early and had already interrupted me a few times…my thoughts turned to Mary and Joseph. I tried to brush away the typical nativity scenes that are so much a part of this season. I tried to imagine what the reality was for this very young teenaged couple on the night that their special baby was born. The word that kept coming to mind was the word “alone.” I do believe that God’s presence was with them…that they truly knew they were a part of God’s miracle in bringing His Son into the world…and that they were fully committed to His plan for their lives. But as far as we know, on that night during the birth of Jesus, they were alone. There may have been a midwife called, but there is no record that any of Mary or Joseph’s family was with them. A normal birth in their small town of Nazareth would certainly have involved several women who would stand watch with Mary, helping her through the birthing process and calming her fears. The first birthing experience for any woman is often full of questions and an element of fear. Older women, especially her mother, would have been a great comfort to Mary. And a midwife would have assisted in the birth in many ways and would have allayed fears with her expertise about unexpected complications. But God had brought Mary and Joseph far from their hometown of Nazareth during this most important time. And there they were, in a cave, far from family and familiarity, giving birth to a tiny baby…God’s Son. Alone. Then I remembered something. I remembered our little snowmen perched on the ledge between our kitchen and family room, where they sit every Christmas. Each snowman holds a letter, and when put together they spell the word “Noel.” But a couple weeks ago, Aaron rushed to find me. He bent over, laughing while he rubbed his hands together…a sure sign of great delight. I haven’t even changed the snowmen back to “Noel.” I honestly keep forgetting to do that, or to have Aaron fix them. But now I’m glad I didn’t change them. I’m glad for this reminder of where God often takes us when He puts us on the paths He has chosen for us. We don’t always consider the price that Mary and Joseph probably paid for their obedience to God. Imagine the hushed whispers when word got out that Mary was pregnant. Unmarried Mary. Imagine the looks she and Joseph got…the insinuations…the assumptions. The suspicion surrounding them, and their story, probably lasted their entire lives. I wonder how their situation…their obedience to God…affected their relationships to both their parents and siblings? Then Jesus was born, while they were alone and far from home, and history shows that Mary and Joseph must have stayed in Bethlehem. Several years later God sent them to Egypt for protection from Herod. Did it look to some like they were running from their secret? When they returned to Nazareth some years later, did they fit in to their families again? Were relationships strained? Did the rumors continue? We don’t know for sure, but we can imagine…in that culture…that life wasn’t easy for Mary and Joseph. I look at this story, and the nativity scene, in a very different way when I really stop to ponder these things…ponder to some degree as Mary did in her heart. Each of us who follow Christ are on the path of His choosing for us. Often the way that He leads us is unpleasant and troubling, full of fears. But those very circumstances are what grow us and cause us to fall on God in faith. The reality of our various situations isn’t all sunshine and roses. It’s the daily pain and sadness and worry, though, that draw us to God like nothing else does. In the hard times may we be like Mary and Joseph. Then just watch God’s peace fill your heart and His grace give you all you need to face the particular plan God has for you. “Mom?” Aaron asked last night as he was going through his ever-important bedtime routine. I was ready for yet another question about what the SS means on the side of the Poseidon…or what kind of vision do the aliens on Pacific Rim have…or what is the quick freeze on The Day After Tomorrow movie? So I just absently responded with my all-too-often reply. “Hmmm?” I absently answered as he stood beside me in the bathroom, watching me put something away. “Do I have seizures because God doesn’t like me?” he continued. And I stopped…stopped dead in my tracks at this very unexpected question. I looked up from what I was doing, into his very serious face. 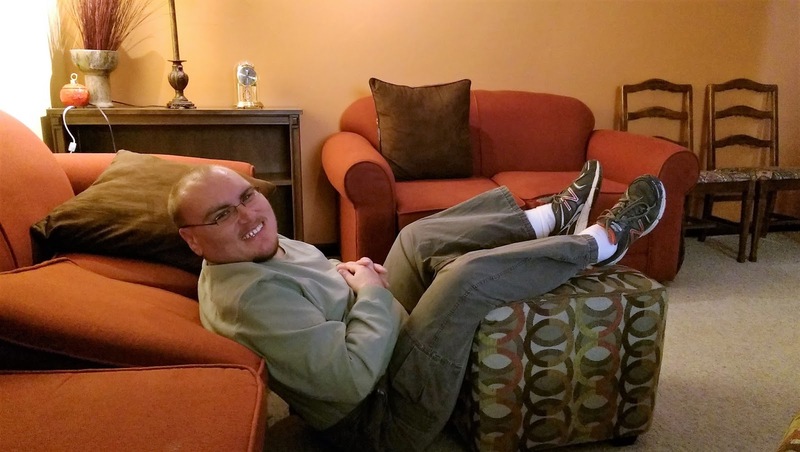 “I just wondered if I have seizures because God doesn’t like me,” he continued. This is like a question Job would ask, and I wanted to give the right answer without being too shallow or too deep. I told Aaron that God loves him very much, and that sometimes He allows things to happen. I wanted to go into full theology mode, but I knew that I could easily lose Aaron, so I assured him again of God’s love and that when we have those questions we need to remember what we know about God…that He IS love, even when we don’t understand what He allows. Aaron went on to bed soon after, but his question lingered in my mind into this morning. What brought that question into his mind? What had he been thinking about? Gary and I talked last night at supper, just the two of us, about how on some days we feel like it’s Christmas…and on other days, not so much. What brings on that “Christmas spirit” we sometimes work so hard to achieve? At times, we don’t set out to create that feeling, but when it’s missing we wonder what we missed. Are we tired? Worried? Overwhelmed? Broke? Or broken? I walked into Aaron’s room this morning, carrying his fresh coffee and finding him soundly asleep. I spoke to him but he didn’t stir. Coming back a little later, I pulled back his covers as he grunted…and I was not happy with what I saw. A wet bed! A totally soaked bed! And last night he and I had changed his sheets! I was happy to mark that off my Christmas To-Do list. “Are you kidding me?” I exclaimed. And off I huffed, mumbling my frustration. Of all days! I was feeling pretty good last night about finishing the gift wrapping and most of the grocery shopping, and saving Friday for house cleaning and the beginning of my cooking. Plans set. The “Christmas spirit” picking up! And now this…this time consuming, unexpected, yucky mess! As I showered and got myself ready, Aaron’s question of the night before came back to my mind. I was reminded of how much I wanted to impress God’s love upon him. How could I do that if I was grouchy with him? And again, how could I answer his searching question in a way that would impact him? All of a sudden, wet bedding and a busy day ahead didn’t matter so much. The Christmas music playing in my bedroom took on a clearer meaning. I decided to talk to Aaron on our way to his day group. I smiled. He seems to think that I want to know this information as much as he does. But this morning, I was glad to know that I had only three songs to go before I could talk to Aaron once again about his last night’s question. Number 14 song completely ended, and the CD went to number 1 again before Aaron removed it. You do NOT remove the CD when the number 14 is still showing. It must have moved on to the next song, just so you know. I grabbed the moment. “Aaron, do you remember asking me last night if God doesn’t like you because He lets you have seizures?” I asked. “Yeah,” he answered as he placed the CD in its case. “Well, this is the perfect time of year to remember how much God loves you. He sent Jesus down to earth to be born as a baby because He loves you and me that much. You know that’s what Christmas is all about,” I said. “So you don’t have to wonder if God loves you or not because you have seizures. We don’t understand all that, but we do know that He loves you a bunch! Jesus’ birth shows you that every day!” I continued. But definitely had everything to do with this! I need to run! I have a load of bedding to put in the dryer. 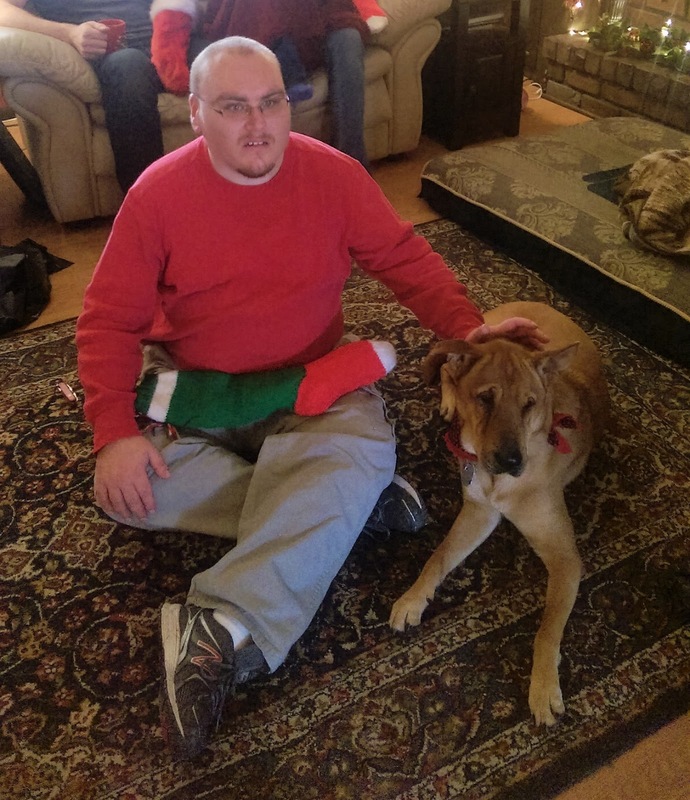 Author hesaidwhatksPosted on December 22, 2017 Categories Adult Autism, Blessings, Christmas, Epilepsy, Gifts, God's Promises, God's Word, Special Needs Adults, Uncategorized2 Comments on Does God Like Me? I decided last night to sit by our Christmas tree and do a little reading by the soft glow of the lights and a table lamp nearby. The tree will be down soon, although I’m resisting that notion. The rush before Christmas and the craziness during Christmas doesn’t afford many opportunities to just sit quietly by the tree, relishing its beauty and enjoying its warmth. Now the seasonal rush is over and I’m not wanting to part with my tree. But I must. It’s a new year…..a new season…..and normal life returns. My circumstances so often dictate my mood, and there in the bullseye of my life…..my circumstances…..stands Aaron. We love Aaron. We have chosen to keep Aaron at home at this season of his life. 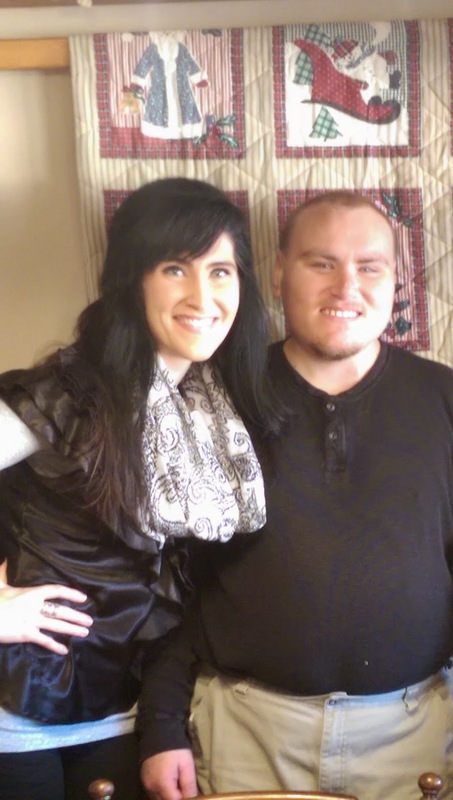 Yet living with Aaron is like riding a roller coaster as we experience the highs and lows of his health and behavior issues. This holiday of Christmas highlights all of Aaron’s needs and emotions like no other. He’s excited, happy, overwhelmed, stressed, and frustrated….just like the rest of us. But he certainly doesn’t contain or handle those emotions, most of the time, in ways that are acceptable. Aaron is like our gifts under the tree, all different shapes and sizes and wrapped in various colors and designs of paper. We have the giving side of Aaron that makes us proud, but can also cause some trouble. 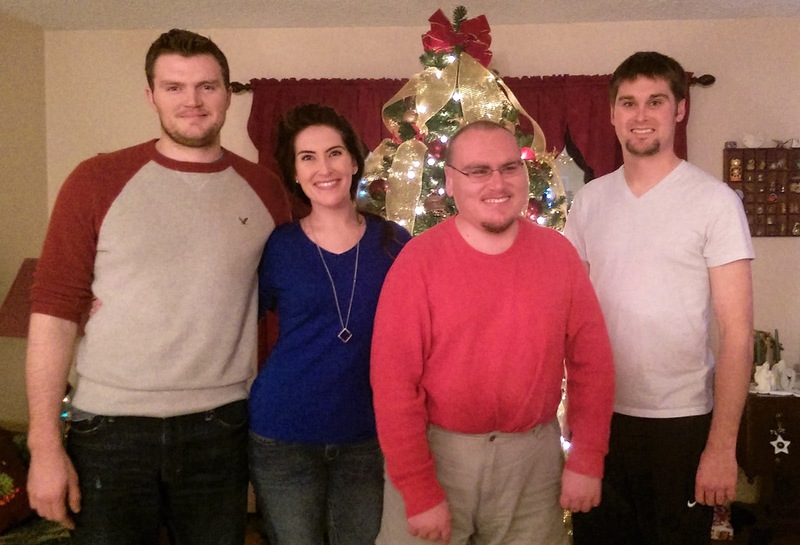 The Friday before Christmas, Aaron and I went back to see his six friends at their residential home. We took pizza again, and also took them some Christmas gifts. Aaron was so happy to do this, as he loves to give. He helped me put the gifts in bags the night before, turning up his nose in disgust at the yucky lip gloss and body wash. We laughed and had a great time, as we also did when we visited the girls and gave them their gifts. Aaron also gives money away at his day group, which is not allowed. It’s a nice gesture from Aaron, but it isn’t what he is supposed to do. It gets out of hand. I sometimes let him take some gum that he can give away, or cookies, but giving others his money is something that Aaron has always wanted to do, even as a little boy. We dealt with that issue cropping up again over Christmas as well. We have Aaron’s health issues to always monitor as we listen for seizures during the night or when he naps. Thankfully, he didn’t have any seizures that we know of during Christmas. But he broke out in some ugly bumps, so on the Monday before Christmas I took him to the doctor. Gary was off that day, and we were going to take Andrea and her boyfriend Kyle to lunch and a movie. We were looking forward to that so much, but instead I found myself seeing to Aaron’s needs once again. And once again I had a choice to make concerning that persistent issue of contentment, despite my circumstances. Sure enough, Aaron had a staph infection and so I was glad I had taken him in, but still disappointed about our change of plans. Aaron’s behaviors come in assorted shapes and sizes, and can change quickly. Life is pretty stable with Aaron at home on a normal day, but when he goes to his day group he becomes loud and full of behaviors. The same is true at home over Christmas, with all the change in his routine and the house full of people. Aaron has to share his time with others and his structured world is turned upside down. All the talking and laughing and extra noise is often overwhelming to him. Andrea’s boyfriend, Kyle, was here for the whole week. We were concerned about how Aaron would react to him. But Kyle was a natural with Aaron, treating him as an equal and being totally comfortable around him. What a relief! Kyle certainly passed the Aaron test! Even when Aaron became unkind, Kyle didn’t show any reaction and he understood. 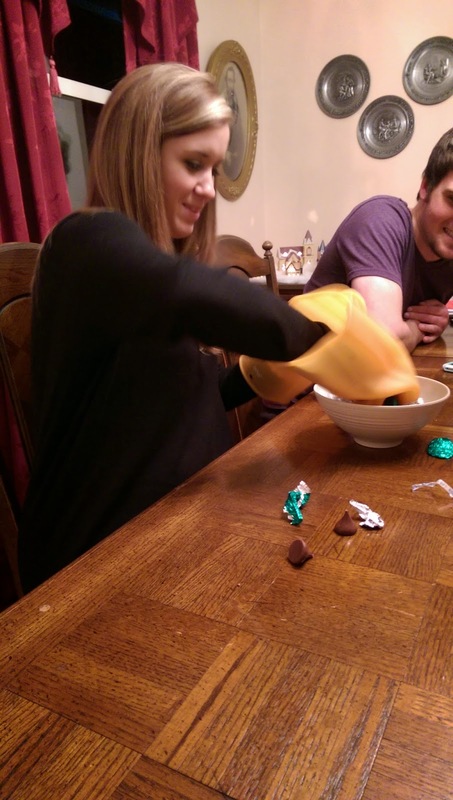 Aaron insisted on playing Christmas Bingo with us, which he usually detests, and also even played the Hershey’s Kiss game…..trying to open the kisses while wearing bulky silicone gloves. Aaron can’t stand the silliness of games and parties, so playing these games was a stretch for him. Aaron targeted Kyle during the first Bingo game he played with us, being rude to Kyle as he blamed him for his own discomfort and frustration. The next time Aaron played with us, the following night, he did much better. And during Skip-Bo, while there was the noise of Star Wars being watched by Andrea and Kyle in the background, Aaron became very bothered by the lack of his usual quietness as we played. “I wish Kyle would leave this house!” Aaron said, over and over. “I wish Kyle would leave this house!” came Aaron’s response. Aaron also had similar comments toward friends of ours that spent the night with us this week. He went from making them laugh the night before to being disrespectful the next morning. I understand the reasons because I understand how Aaron thinks, but it’s still very embarrassing. 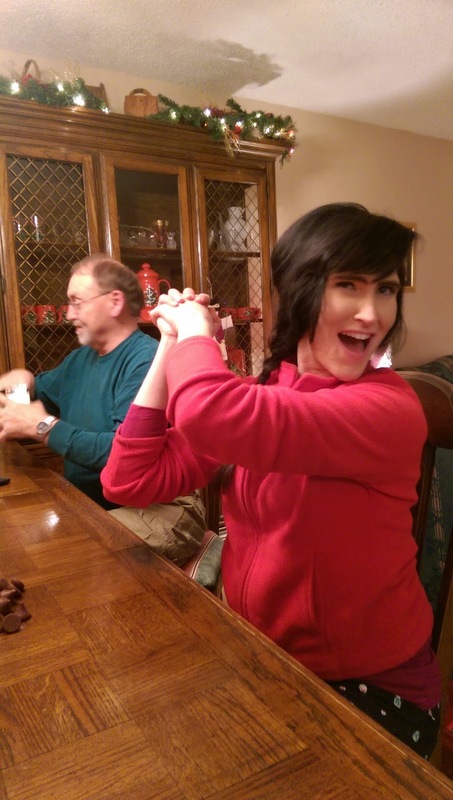 Thankfully, Dawn has a special needs daughter who also gets overwhelmed, but still….. There go my circumstances again! And the choices I must make, and often fail at doing so correctly. 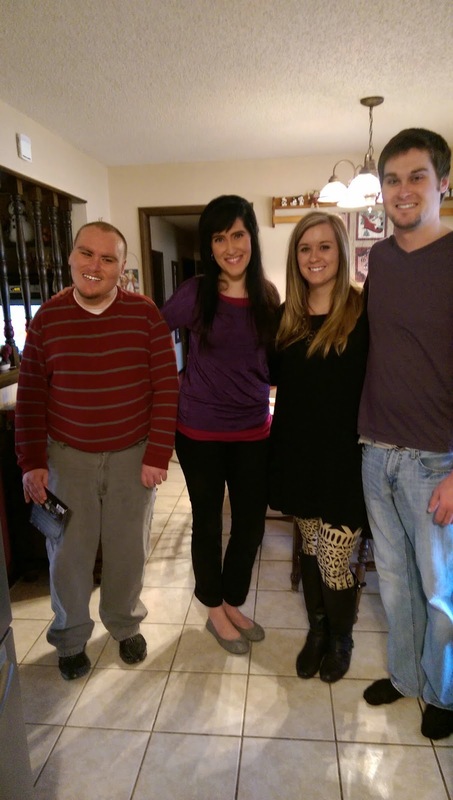 And there were many good moments…..special times with Aaron as he enjoyed the week of Christmas. He LOVES Andrea’s dogs, and they generally tolerate him pretty well. Christmas morning was especially sweet with Aaron and Darcy. And Aaron makes us laugh with many of his comments, of course, and his actions. So here we are, with memories of Christmas still fresh and with a new year just beginning. 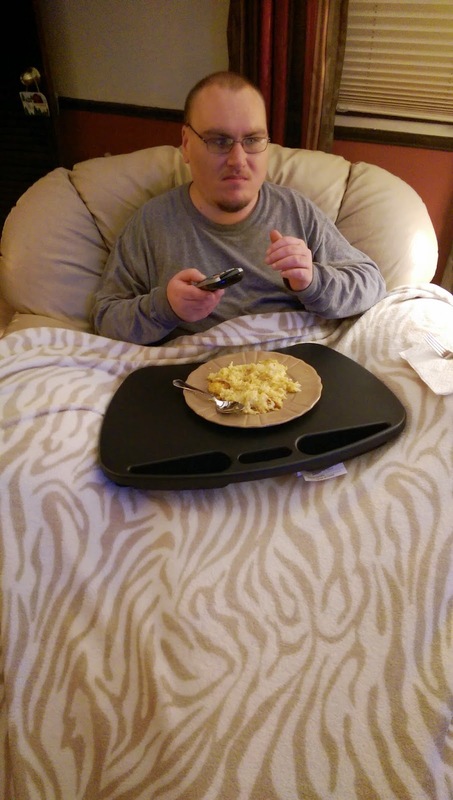 I need to find Aaron a new autism doctor…..need to think about all those day group behaviors and why he acts that way there……monitor his sodium levels…..deal with the seizures and the meds that help, but also cause some of his behaviors…..and much, much more. And to work on my own contentment, like the Apostle Paul said, in whatever state I am….to be content. In a state of sadness, or a state of frustration, or fear, or embarrassment, or turmoil, laughter and joy…..
Yep. Just like Aaron goes forward, and we experience the highs and lows, the ups and downs….often hanging on for dear life. Instead of Happy New Year, I wish for myself a Contented New Year, despite whether I am feeling happy or not. And so I wish that for each of you as well. Author hesaidwhatksPosted on January 1, 2016 February 28, 2016 Categories Adult Autism, Asperger's Syndrome, Christmas, Contentment, Epilepsy, Family, http://schemas.google.com/blogger/2008/kind#post, Special Needs Adults2 Comments on Contented New Year! I remember climbing on my Daddy’s lap when I was a little girl. He was sitting in his chair near the fireplace, with his shelves of books on one side and his end table on the other. His newspaper was on the end table where he could eventually read it at the end of a busy, tiring day on the railroad. His Bible was also laying there within easy reach. He read his Bible often as he sat in his chair. He was always ready and willing to listen to my questions about what the Bible said about this and that, especially as I got older. But when I was little and would climb on his lap, I remember the gentleness that he showed. In the early years he smelled of pipe tobacco and smoke…..that subtle odor that comforted me. I can still see him emptying his pipe of the old tobacco and then refilling it with fresh, tapping it gently and pressing the tobacco down just right. I can hear the sound of the pipe stem on his teeth and see the soft, swirling smoke around his head at the end of the day as he relaxed. Dad was never too tired to listen to us kids as we talked to him. He was patient and kind, and so wise. Sometimes when I would climb up on his lap, he would read me a book. Sometimes we would just snuggle. And at other times, he would take my hands and check my nails. If they were too long, he would ever so carefully trim each nail. I sat very still, watching him take each of my fingers and cut the nail just right. Then off I would hop and go on my way, not giving much thought to that simple deed that Dad performed. Until years later…..many years later. 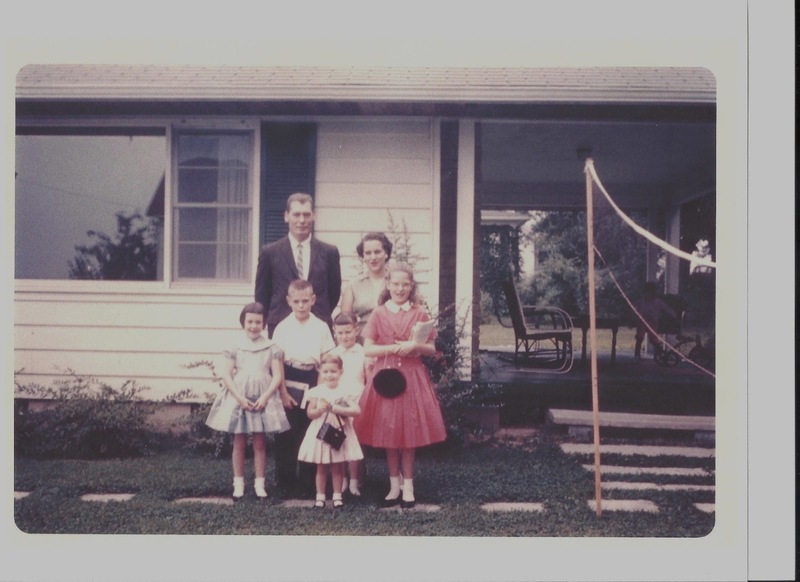 The tables had turned, as they so often do, and I and my family had become the caregivers. Dad was in his last month of life as the cancer he had fought for eight years was winning the battle. 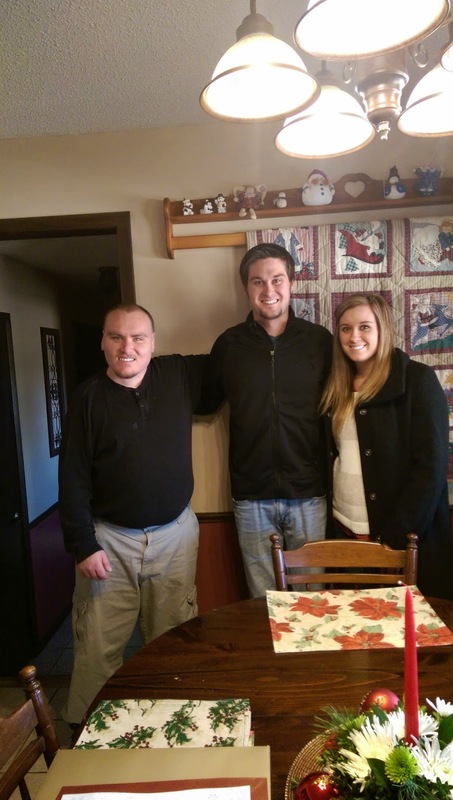 I had been able to go home to help Jan and John as they cared for him and Mom. 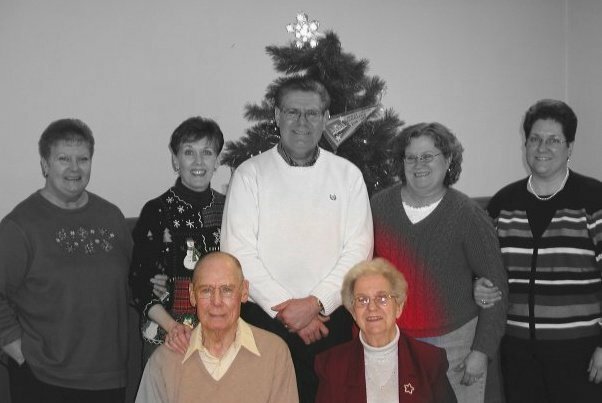 It was a month of many cherished memories that fill my heart every day, especially during this Christmas season. It was December when Dad died. It was December and Christmas that he and Mom loved so much. One day I rolled Dad in his wheelchair into the living room so that he could enjoy the pretty Christmas tree. I helped him get onto the couch, his thin body so frail and weak. Then I sat beside him and snuggled close to his bony side. Words were few because it took too much energy for him to lift his head and talk. But he still smiled….that gentle, kind smile that was his signature. As we sat there in the soft glow of the Christmas lights, I looked down at his fragile hands resting on his lap. Hands that had worked hard, disciplined well, warmly hugged, and folded in prayer. And I saw that his nails were so long. How had we let them get in that shape? So I looked in his tired face and I asked him if he would like me to trim his nails. He slowly lifted his bowed head and gave me that smile as he said yes ever so softly. I got some clippers and a nail file, and I set to work on his nails. I was afraid of hurting him so I worked very carefully, taking each finger and slowly trimming and filing. He was very still and quiet as I worked. Finally I was done. He looked down at his hands and smiled again, and then slowly looked me in the eyes as he thanked me. For days afterward, he talked about how good it felt to have his nails trimmed as he thanked me over and over. And just as when I was a little girl, the significance of that act didn’t hit me until later. Dad showed me such love in the simple deed of trimming my nails when I was young. Now it was my turn to show him the same love in the simple deed of doing the same for him in his weakened state. His strength was mine when I needed him. My strength was his when he, many years later, needed me. And it was the love and guidance of Dad’s hands that led me to be there for him at the end of his life. He raised me and my brother and sisters well. He loved us deeply, worked hard for us, and led us to know and love the Lord. It seems like yesterday that I hopped off of his lap after he trimmed my nails, and ended up beside him on his couch trimming his nails beside the Christmas tree. 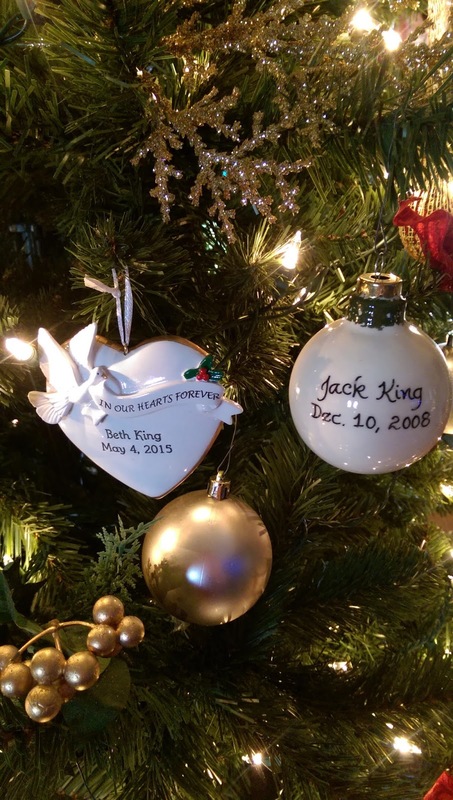 Now his and Mom’s memorial ornaments hang on my tree, and all I have are memories. But someday I’ll take his hand again in heaven, and Mom’s as well, and see them both strong and whole once more. Here we are. It’s the third day of our new year. The third day of new beginnings, so I’m told, and new attitudes…..new challenges and new goals……new everything. But I have our washing machine running this morning and it’s reminding me that the sameness of life also continues despite my desire to work up some enthusiasm for newness. Aaron had a seizure last night and so once again I am washing his bedding from the mattress pad up to the top layer…..his favorite cheetah blanket, or whatever animal it represents. I’m not complaining at all. It’s our life and I’m thankful that I’m here to be a part of it, and to care for Aaron. It’s certainly not new. Aaron doesn’t care for new, unless it’s a new video or a new bag of candy. He doesn’t like new routines or new schedules, and he doesn’t like the people or the holidays that cause a disruption to his sameness. On Thanksgiving Day, Aaron came into the kitchen while I was preparing our meal. He asked when we would be eating. I told him it would probably be around 2:00. He stared at me for a few seconds and then said, “That’s why I was thinking if I could eat lunch.” I didn’t have to look at the clock to know that it was nearly 12:00 and to Aaron, 12:00 means lunch……Thanksgiving Day or not. He did agree to wait for his meal, but he did give remaining in his routine his best effort as well. We try not to give in to Aaron’s routine oriented way of viewing the world when there are special days or events to consider. 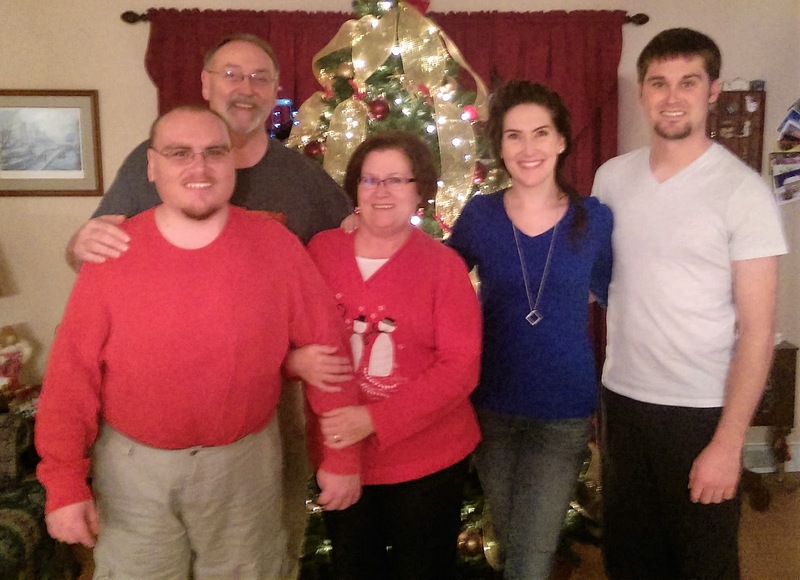 We give it our best effort in order to include Aaron in our family traditions and our special times together. Yet we know that at times it’s not only difficult but nearly impossible for Aaron to comfortably enter into our celebrations together as a family. The complexities of his autistic world, at times, will simply not allow him to move beyond a certain point. There are several reasons for this dilemma that he…..and we……face during the holidays. His comment didn’t fit at all into what the rest of us were discussing, but we’re used to this with Aaron, so we all commented in some way. We really tried to act as interested in what he was saying as we did with the rest of our conversation, but sometimes it’s hard. And if you give Aaron an inch, he’ll take a few dozen miles and he’ll talk until the rest of us are…….honestly……..bored beyond words. So after we all responded to Aaron, we would pick up our conversation where we had left off and once again Aaron would sit there with darting eyes and bated breath, waiting for his next opportunity. “Hey! !” And we waited. “Uh…..well……did you know that there’s a Queen alien? Is she bigger than the other aliens? Why do you think there’s a Queen alien?” So then it’s our turn to say, “Uh….well…..we didn’t know that, Aaron.” Come on. Show interest……show enthusiasm for Queen aliens and for Phantoms and for whatever else Aaron chooses to talk about, we’re all telling ourselves. Another reason that Aaron gets stuck during the holidays in his point of no return is the change in his routine. Everything is messed up. His meal times……watching Wheel of Fortune with Mom…..bedtime rituals, especially if Mom doesn’t come right away to say goodnight……playing SkipBo……..having his bathroom to himself……and so much more. His brain is soon on overload, no matter how Gary and I try to maintain his sense of normalcy. The third reason for Aaron’s holiday struggles……and probably the straw that breaks the camel’s back……is having to share his time and space with others. Aaron has gotten used to being the only “child” at home now. He is doing better with having Andrea and Andrew come for visits…..probably because he knows he can talk and talk to someone other than Mom and Dad. We weren’t sure how he would react to Megan, Andrew’s girlfriend, being here again this year. Megan arrived the day after Christmas. I was a little nervous, but I greatly relaxed as we all stood in the kitchen chatting and I noticed that Aaron was happily talking. Soon I had him tell Megan about his movie of the moment…..Phantom of the Opera……which fortunately is one of Megan’s favorites. Aaron loved feeling included as all eyes focused on him, and he really enjoyed our interest in hearing him sing his favorite Phantom of the Opera song. He’s hilarious when he sings and we all laughed with him as he relished being the star. And then I goofed. Aaron had returned to his room, so I asked Andrew to go up and tell Aaron that it was time to eat. There are reasons that this wasn’t a good idea, but suffice it to say that Aaron from that point forward began to do down the path of frustration and anger. He wanted me to come get him for dinner, for one thing, and though we roll our eyes at that, it was this important to Aaron. His nearly overloaded system was beginning to crack under the holiday strain. He was rude to Andrew during lunch and we knew then that we were facing an uphill battle. When we later opened presents from Megan, Aaron sat with his back to Megan and Andrew. He was edgy still. 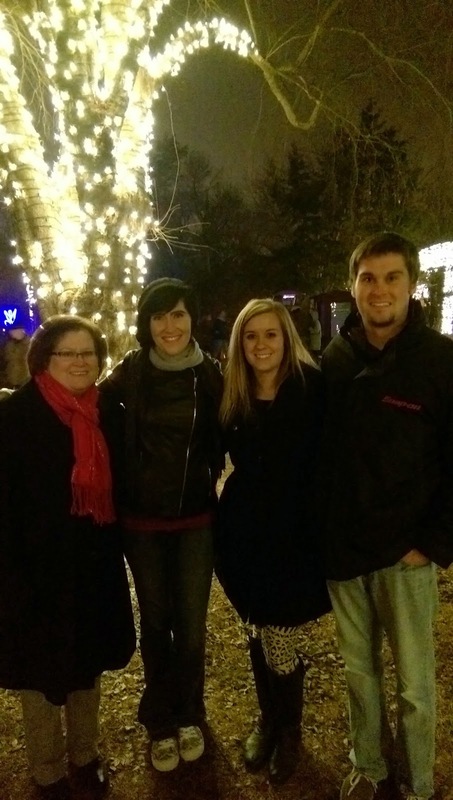 Then off we went to walk through Botanica and see the Christmas lights. It was cold and we all bundled up, and piled in the van……including Aaron. I let him have his favorite, normal passenger seat, beside Gary. And wonderful Gary walked beside Aaron and kept defusing him the whole way through Botanica. You can see in the pictures that Aaron is NOT seen. When he’s in this frame of mind, you can forget pictures. They only make him angrier. We were way down that frustration path at this point. Embarrassing, yes…….especially because Megan is still new to all this and we so wanted her to feel welcome. Thankfully she’s kind and understanding. You must be in these situations with Aaron. But Aaron’s comment was also telling as he revealed, in his blunt way, that he wanted his normal life back. The night went downhill from there, if that was possible. The five of us totally enjoyed the games, but we were often interrupted by Aaron’s heavy footsteps on the stairs and the floor as he came down to check things out. He really wanted to enter in, I believe, but he didn’t know how to comfortably do that. At one point, he looked at the container full of wrapped Bingo gifts and he softly asked if he could have one. That made us sad. 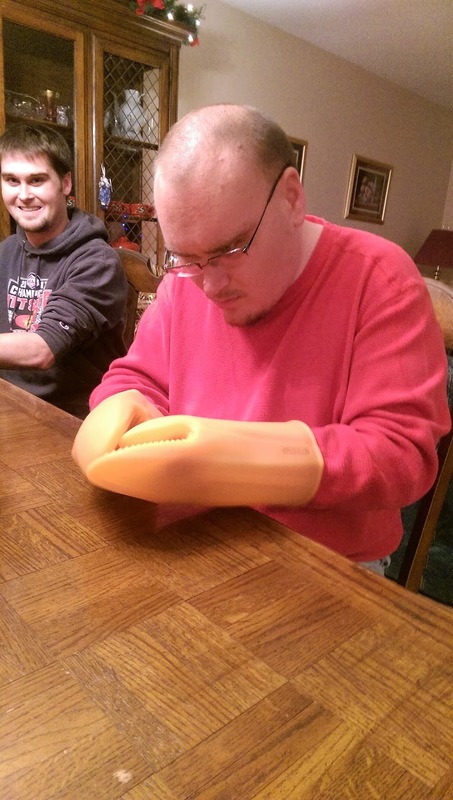 Of course, we let him unwrap one and he was happy to get a Wal-Mart gift card. Then off he went to stew in his anger some more. Aaron and I eventually ended up in my bedroom, where he talked angrily about how we only love Andrea and Andrew, and only want to talk to them….and to Megan. He cried for a long time, a sure sign of deep frustration. My heart hurt for him as I tried to comfort and assure him of our love. I really believe that Aaron senses a difference in how we talk…..our inflections and our words……when we talk to him compared to the others. Try as we might, we can’t manufacture the same interest in his comments compared to theirs. Aaron is perceptive……so perceptive. I also know that he needs repercussions for poor behavior, so I took the movie away that Andrew got him for Christmas, as well as the lap desk from Megan. Finally Aaron came downstairs, face and eyes red from crying, and he gave a semi-apology to them. I helped him into bed, but it wasn’t long before we heard him coming back downstairs. He walked into the room where we sat, tensely waiting for another outburst. But in his hand he carried his Ghostbusters movie, which he thrust toward Andrew. “Hey Andrew!” he enthusiastically said. “Have you seen this movie?” And Andrew, with equal enthusiasm, said that he had and then he said, “Who you gonna call?” Aaron laughed and took the movie back upstairs…..and we knew that his crisis was over and all was well once again. The next morning, Aaron wanted to give some of his crescent rolls to Megan and Andrew for breakfast. And when they left for a couple days, and returned to see us again, Aaron was fine with that. I wish this scenario wouldn’t be repeated next year, but I’m realistic enough……we all are…..to know that it very well might be. I returned Aaron’s movie and lap desk from Andrew and Megan to him, hoping that he understood the consequences of poor behavior and the reward of good behavior. We always hope that Aaron will understand and that things will click in his brain, but his brain isn’t like ours at all. Yes, it’s not easy to be a part of this family sometimes. Sometimes I think…..AUTISM RULES. But then I realize that only one thing really rules. LOVE RULES!! We don’t necessarily love autism, but we all love Aaron. 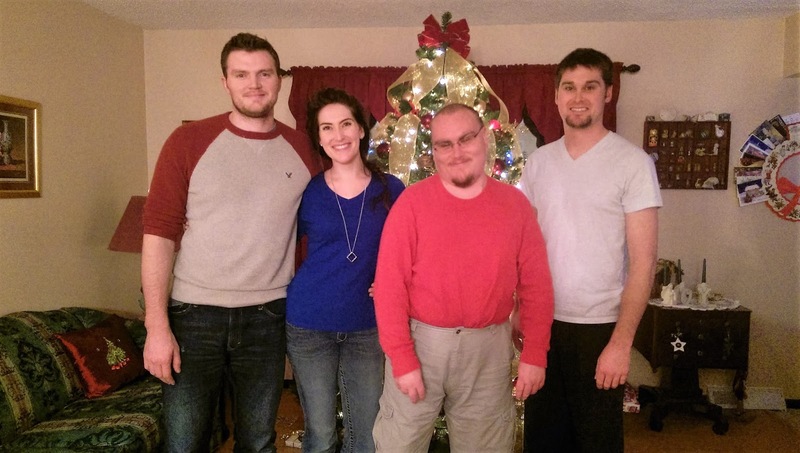 We seek to understand autism, and therefore better understand Aaron. I see growth in all of us that has occurred over the years. It’s the growth based on our experiences with Aaron, and growth based on knowing that Aaron may improve in some areas, but he will never be totally like the rest of us. We may feel beat up and tired and angry ourselves, but we must remember that love rules over all. God’s love for all of us, and our love for each other and for Aaron, will remain firm during these rough spells. There’s nothing new about that, even in this new year. What a long post! I have laundry to put in the dryer, and much more to wash. Author hesaidwhatksPosted on January 3, 2015 February 28, 2016 Categories Adult Autism, Asperger's Syndrome, Children, Christmas, Consequences, Epilepsy, Family, http://schemas.google.com/blogger/2008/kind#post, RelationshipsLeave a comment on Love Rules! I heard him upstairs through the baby monitor later in the morning, stirring and stretching and then getting out of bed. I knew that he was marking his wake-up time in his notebook that he uses to record all that important information about his life. Later he slowly made his way down the stairs. I noticed that he had on a different pair of pajamas than he had worn to bed, and I knew right away what had happened. I went up to his room after he and I talked for a minute to gather up his wet linens…..all of them, including his waterproof mattress pad. Poor Aaron. Such hard seizures take a toll on him, and can be embarrassing as well. So the day began in earnest with mounds of laundry and mounds of Christmas preparations and plans to accomplish. I was thankful for the time that day to prep and plan, but as the day wore on I was very aware of my fatigue…..fatigue that was probably only going to increase as the week continued. That evening, as I finally cleaned off the kitchen table to some degree, I was looking forward to a little time to chill out. Catch up on Facebook, look at emails, read the news….. But of course, I wasn’t downstairs very long before Aaron came thumping down the stairs. First he talked to Gary about the movie he had finished watching today, and then the current movie he was now watching. Soon he came to me at my computer, and began the same recitation. Gary and I finally had to tell him that movie talk needed to stop. We were depleted when it came to his long movie reviews and endless questions. It was around 9:30 when I went upstairs and asked Aaron if he wanted to play a game of SkipBo. He was very happy to hear me ask that question, so while he took his pills I shuffled the cards. We had a normal game, with me having to monitor Aaron’s every move in case he cheated and with Aaron thinking he had to monitor my texting with Andrea. I could feel my nerves getting a little more worn. Of all nights to have a slow game, this was not the night! But was it ever a slow game! Where were all the 3’s?! I was getting irritated for sure. Finally the game was over! I wasn’t nearly as happy about winning as I was happy that I could go to bed at last……after turning off all the Christmas lights, fixing the coffee pot, helping Aaron get his bed all perfectly ready, and listening to his non-stop chatter. Ugh! All these thoughts were going through my mind as I put the cards back in their box. I looked up then to see Aaron sitting very still across the table from me, peering down at something on the table. And I knew then what “it” was. “It” was a tiny little piece of glitter from all the wrapping paper and glittery tissue paper I had used that day. Of course, Aaron noticed this miniscule piece of glitter that to most of us would have gone totally unseen. Or seen, but not cared about. Not so with Aaron. He was intrigued by the tiny sparkle that caught his eye. He knew that it was worth exploring, so he did. Furthermore, he hoped that I would do the same. I was headed to the coffee pot when I stopped and turned around. There sat Aaron, pointing to the itty bitty glitter, and I was drawn to that scene as I stood there for a few seconds. I smiled as I realized that I should not miss this moment. So I walked back over to the table, and I bent over the little glitter particle with Aaron. We both smiled as we noticed the glitter’s tiny shimmer. I realized that this glitter wasn’t round, but that it had definite sides. I counted six sides, and so Aaron and I talked about the fact that this glitter piece was in reality a hexagon. It was pretty and sparkly and more complex than either of us realized until we took the time to look at it carefully. All day today I’ve been thinking about that glitter moment with Aaron, and what I would have missed had I dismissed his interest in favor of a coffee pot to fix and Christmas lights to unplug. I would have missed a sweet moment with Aaron……a time of simple sharing…….a smile……a discovery. At this time of year, especially, but at any time of year, I need to often remind myself to stop my fussing and flittering……and to take some time to see what Aaron sees. Take some time to see who Aaron IS. See the world through his eyes, with all its complexity and its beauty. And to apply this lesson to so many other areas of my life as well. Stop to see what’s around me that’s not so obvious, lest I miss out on some real beauty and some sweet moments. Don’t let my schedule or my tiredness rob me of discovering some sweet moments with those I love…..or with those whom I need to know better…..or with those that I can help. Coffee pots and other chores will always be there. Glitter has a way of blowing in the wind and never being seen again. I need to treasure it while I can……with Aaron, of course.